Earlier this year, Greg Hollin and Warren Pearce published a short letter in Nature Climate Change entitled Tension between scientific certainty and meaning complicates communication of IPCC reports. In contrast to their claims, we demonstrate in our comment on this article that the IPCC correctly placed the hottest decade in the context of long-term trends. The IPCC did not dismiss the recent slowdown in surface warming, the so-called “hiatus” or “pause”, as scientifically irrelevant. Here we demonstrate that speakers at the press conference for the publication of the IPCC’s Fifth Assessment Report (Working Group 1) attempted to make the documented level of certainty of anthropogenic global warming (AGW) more meaningful to the public. Speakers attempted to communicate this through reference to short-term temperature increases. However, when journalists enquired about the similarly short ‘pause’ in global temperature increase, the speakers dismissed the relevance of such timescales, thus becoming incoherent as to ‘what counts’ as scientific evidence for AGW. This observation leads them to theorize about the tension between scientific certainty and meaning. But did they actually demonstrate what they claimed they did? We argue in a comment to this article that they did not. That is an entirely different ballgame than the short-term variability that underlies the slowdown of the surface warming trend (often referred to as “the pause”). So no, they did not demonstrate in the least that IPCC speakers “relied on temporally local events to increase public meaning”. Hollin and Pearce’s premise is based on misunderstanding the timescales that were discussed. What about the claim that IPCC speakers dismissed the relevance of the so-called “pause”? As we write in our comment, five of the 18 journalists asked a question about recent temperature trends; none were ignored. Also David Rose’s question, which is featured prominently in Hollin and Pearce’s argument, was not dismissed. Stocker responded to Rose’s question, followed by Jarraud explaining why he regarded it as “ill-­‐posed”, reframing it as a well-posed question, and responding to that. See the (freely available) Supplemental Information for more details. So no, Hollin and Pearce did not demonstrate that the relevance of the slowdown was dismissed. Hotwhopper hammers home this and related points with lots of extra detail, showing that the IPCC message was clearly received by most journalists and that only one journalist who asked a question at the press conference “condemned” the IPCC for supposed dismissal. This journalist, as you might suspect, was David Rose, for whom IPCC bashing is a modus operandi. The entire premise for their argument thus seems to rest on shaky ground. Their conclusions about e.g. the IPCC’s credibility being somehow eroded by their (in Hollin and Pearce’s eyes) mixed messages are thus not supported. I’m actually surprised that in their reply to our comment, Hollin and Pearce don’t acknowledge their mistaken interpretation regarding timescales, but rather keep digging their heels in regarding that point. E.g. they reiterate that Pachauri’s quote above was “illustrative of references to the warmest decade made by all three speakers”, apparently without realizing, or not considering it as relevant, that this and other such references were made in the context of the long-term trend. Very peculiar. They wrote a blogpost in which they try to reflect on the meaning of this back and forth in the scientific literature. It’s an interesting read, and they basically argue that their initial letter was based on inductive research: starting with the data, seeing patterns or interesting things, and the theories and broader claims are integrated later. They claim that this is more common in qualitative social science than it is in natural science and that this difference may be at the root of our disagreement. I’m actually quite comfortable with such inductive style research. I have often started my research by looking at “what the data told me” as my PhD advisor used to say, especially for a large body of field observations. That was also the approach we took in analyzing the data from our climate science survey. why it makes any difference whether one’s approach is inductive or deductive. What you present should be a reasonable representation of reality, whether you approached it inductively (“the data looks interesting, why is that?”) or deductively (“I have a theory/hypothesis, let me collect some data to test it”). For example, either the IPCC fell into a trap by using one indicator to stress the certainty of AGW while dismissing another essentially equivalent indicator, or they didn’t; either the IPCC dismissed the so-called “pause”, or they didn’t. It can’t really be both. I would hardly think that the difference in interpretation between Hollin and Pearce on the one side and Jacobs et al (myself included, but also e.g. cognitive psychologist Stephan Lewandowsky) on the other side boils down to a typical difference in approach between social science and natural science. Rather, it boils down to the former misinterpreting statements relating to timescales and basing the whole remainder of their argument on a false premise. I re-read your reply incl the SI and I’m still struggling to see understand your point of view regarding time scales. with the emphasis (italics) on the word “any”. Doesn’t that point to these temperature record being presented in the context of the longer-term trend (“than in *any* other decade”)? To me the answer to that would be a clear yes, but apparently that’s not the same to you. Could you clarify your position in that respect? It may very well be that speakers mentioned (spatially and temporally) local events as *examples* of what climate change might mean to a person’s live, so yes, to make it more societally meaningful. I’m not challenging that. What I’m challenging is your premise that in doing so the IPCC speakers provided an incoherent picture of timescales, on the one hand presenting a decade’s worth of data as scientifically meaningful and on the other hand as not meaningful. The former, the warmest decade, was consistently put in the context of the long term trend, even in the quote that you mentioned yourself. So there was no such incoherence. Collin wrote a blogpost about it as well which is well worth a read, giving a bit of context from other opinion and literature surveys. The interview starts off with the general findings regarding the level of consensus, then focusing on how this compares with previous studies, how the media coverage is slanted towards contrarian views, and he gives me a chance to talk about my favorite part, how aerosol cooling masks the greenhouse warming and how this makes the phrasing of the IPCC AR4 attribution statement, by focusing only on the greenhouse warming part, prone to being misinterpreted. These aspects were also discussed in my blogpost from last month. He argued that it’s best to be explicit about one’s values and clearly distinguish when one is talking values (“ought”) and when one is talking science (“is”). I entirely agree. I would add that it’s important to distinguish recommending a generic (e.g. mitigation) vs a specific (e.g. CCS) course of action, especially when the latter is not one’s area of expertise. I wrote about the public role of scientists before, which touches on many of these same issues. Judith Curry also chimed in, complimenting Gavin but also giving some criticism, much of which is rather off-base imho. Continued greenhouse gas emissions cause further climate change and constitute a multicentury commitment in the future. Therefore we conclude that limiting climate change requires substantial and sustained reductions in greenhouse gas emissions. Is this a normative statement (“ought”) or a factual statement (“is”)? Gavin claimed it’s the latter, Judith claimed it’s the former. It would be advocacy if the goal was left out, as in “we should reduce GHG emissions”. But that’s not what Stocker said. Instead, what he said comes down to “if this is the goal, then that is what needs to be done to achieve it”. Curry claims that adaptation, carbon sequestration or geoengineering would also be options to limit climate change. That’s only partly true. Adaptation doesn’t actually limit climate change, as the word says it means adapting to climate change. 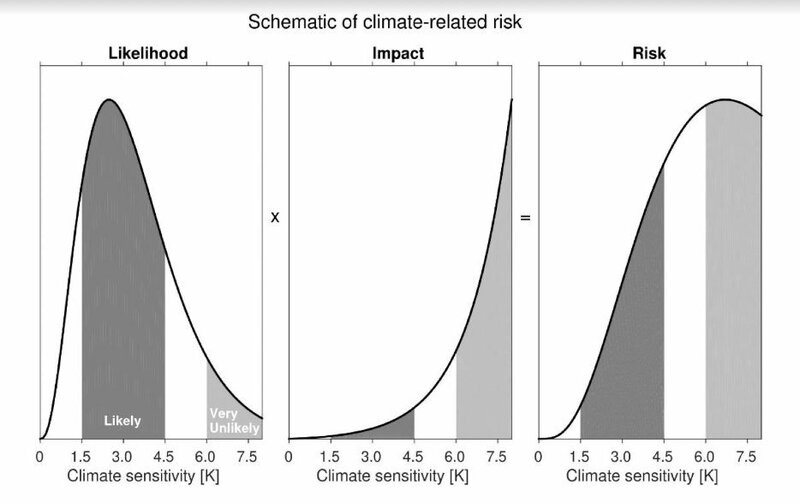 As such it helps in the short term (and is definitely important), but in the long term adaptation without mitigation is like mopping the floor while leaving the tap running (see also the Rabett). Carbon sequestration is a viable option to reduce atmospheric concentrations, but with current technologies it can only make a minor contribution. So it could limit climate change to a very limited extent one might say. Geoengineering is a more complicated story. Basically, it exchanges one type of climate change (temperature changes) with another type (hydrological changes), so it changes climate change. Perhaps Stocker’s statement could have been made more specific by including e.g. something like “limiting climate change to what societies are adapted or can adapt to requires substantial and sustained reductions in GHG emissions” which I think is what he meant anyway. This is a strawman argument, as it’s not a (hidden) element in Stocker’s argument as given above. Again, it would be true if the goal was omitted or left implicit (but it wasn’t). If one feels that limiting climate change is not needed (because it’s not bad) than the needed cure (reducing emissions) is not needed, obviously. That is entirely consistent with what Stocker said. Curry further offers the following list of “examples of potential hidden values that are rather inconvenient (because) these are why the public distrusts scientists as advocates”. I offer my comment with each (in italics). It’s not at all clear that these would all go in the direction of a bias in favor of the mainstream (as Curry seems to implicitly assume); to the contrary. personal career advancement: Unclear in which direction this would most likely go. research funding: idem, though this could cause a tendency to increase the apparent magnitude of uncertainties. the value in terms of professional recognition (e.g. awards from professional societies) that supporting the scientific consensus can provide (recognizing the ostracism that con result from straying): No bigger reward for a scientist than to prove the scientific consensus wrong. media attention: This goes in the direction of providing relatively more media attention to contrarian voices, Judith Curry herself being a good example (assuming that she wasn’t as prevalent in the media before her U-turn away from mainstream science). This got confirmed in the large survey amongst climate scientists that I conducted last year (not yet published). influence within the scientific community: This hinges on using solid arguments, so usually provides the correct incentive. influence at the power tables in terms public policy: Like with media attention, extreme voices seem to have disproportionate influence. Look at the regular line-up for US senate hearings for example. If you crave media attention and political influence, being loudly contrarian is a sure way to achieve that. In the Netherlands the same tendency is apparent. broader political objectives that support any/all of the above: This goes more likely in the direction of downplaying rather than overplaying AGW I would argue. Guest post by Hans Custers. Dutch version is here. The IPCC invited the governments of all participating countries to give their view on the future of the climate panel. The IPCC is a complex organization, dealing with a very complex subject, so perfection will be impossible to achieve. Or, from an optimistic point of view: there’s always room for improvement. And of course, a transparent process of self-reflection is a very good start for improvements. 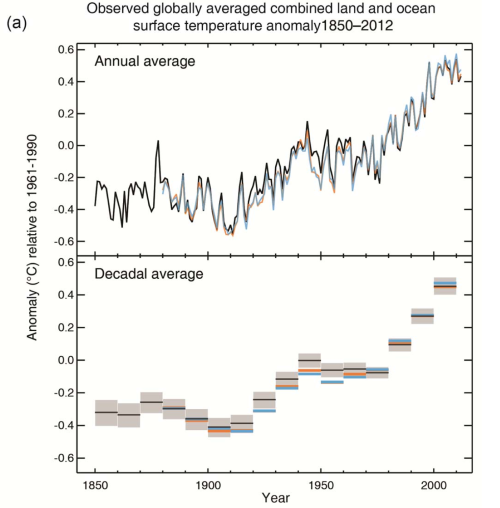 But well, this is the IPCC, so there is a catch. Whatever happens in this process, it will be spun by the anti IPCC and anti climate science campaign as ‘evidence’ for their claims. Every bit of criticism on the IPCC’s procedures and methods will be spun as substantial criticism on the scientific content of the assessment reports. And if governments would be reluctant to criticize, because they know it will be taken out of context, it would be seen as ‘evidence’ for the huge climate conspiracy. The IPCC needs to adjust its principles. We believe that limiting the scope of the IPCC to human-induced climate change is undesirable, especially because natural climate change is a crucial part of the total understanding of the climate system, including human-induced climate change. The Netherlands is also of the opinion that the word ‘comprehensive’ may have to be deleted, because producing comprehensive assessments becomes virtually impossible with the ever expanding body of knowledge and IPCC may be more relevant by producing more special reports on topics that are new and controversial. Skeptics don’t seem to understand, or don’t want to understand, that this is about the IPCC organization only, and not about the content of assessment reports, or even climate science in general. They suggest the Dutch government thinks that natural influences and controversial topics may have been underestimated in previous assessments. There are some things they overlook. Also published in European Energy Review (EER). Scientists working on climate on a daily basis must have been rather astonished by the interview with Professor Fritz Vahrenholt (European Energy Review, May 2, free registration required). Vahrenholt, chief of RWE Innogy, self-proclaimed climate expert and author of the book Die Kalte Sonne (The Cold Sun), claims that “the contribution of CO2 to global warming is being exaggerated”. These claims, however, do not stand up to scientific scrutiny. We assess his ideas in the light of the scientific literature on the role of the sun versus other climate forcing factors. The dominant influence of greenhouse gases follows not only from their basic physical properties, but also from their “fingerprint” in the observed warming. The sun, in contrast, has not exhibited any warming trend over the past 50 years. The sun is thus not responsible for the warming seen during this period. Greenhouse gases in all likelihood are. IPCC SRREN: Conflict of interest or just a bad press release? The blog discussion of the week seems to be about IPCC’s Special Report on Renewable Energy Sources and Climate Change Mitigation. Question is, has a study headed by a Greenpeace employee been overly hyped? I think the short answer is that it has in the press release but it hasn’t in the underlying report. One would think that that would be the end of it. It’s become the norm that press releases highlight an eye catching finding rather than trying to paint a full picture of the underlying report. The former draws media attention; the latter does not. Media need a news hook after all, as we’re frequently told by journalists. That’s not necessarily a good thing for science journalism and science literacy, but it’s the case nevertheless. 1: what was the process for writing the press release, and who decided whether it faithfully represented the main conclusions of the SPM/main report? 2: why was the SPM released more than a month before the full report? 3: was Sven Teske in any way involved in the decision to highlight Teske et al, 2010 as one of the four ‘illustrative scenarios’ explored in greater depth as per Section 10.3.1? 4: what is the IPCC conflict of interest policy with regard to lead authors reviewing their own work, and having affiliations to non-academic institutions, whether campaign groups or companies? the use of word “could” in the IPCC’s press release (“Close to 80 percent of the world’s energy supply could be met by renewables by mid-century”) is likely to refer to future uncertainties, but may well have been perceived by journalists and the public as a straightforward statement about the technical potential of renewable energy. I think it’s the opposite: I think the word “could” refers to “technical potential” rather than to future uncertainties. As in, if we really wanted to and put the effort (and money) in, this is what we could achieve. Whereas most reading this understand it in the other way and then interpret is as hopelessly optimistic and biased. However when people and the political community hear technical people say “can’t be done” they assume we mean that technically can’t be done and that is untrue and destructive. It’s destructive because it hides the central moral choice: we could cut emissions if we want to, we could have started decades ago when the scientific warnings about climate change were first raised, but we decided not to. It was a choice, implicit or not. A choice that, in effect, we cared more about current consumption than we did about preserving our grandchildren’s chances to enjoy a climate like the one in which our civilization developed. Andy, I don’t think that you adequately highlighted that the Greenpeace scenario was the one that was featured in the IPCC press release and covered by the world media. Had the problem been limited to the Chapter 10 discussion, it would be less of an issue. Thus he continues to play to the “climate science as fraud” crowd that frequents his blog while adopting a more reasonable pose here. The persistent substitution of fake problems for real ones is a key to derailing serious conversations these days. The important conversation that we should be having, connected with the issues in the SRREN, is about what kind of future we want. This month the IPCC will release its Special Report on Renewable Energy Sources and Climate Change Mitigation. For now, only the Summary for PolicyMakers (SPM) is available; the full report will follow May 31st. This is also where the impacts of climate change are expected to be most severe. The Food Gap predicts 2.4 degrees by 2020? I don’t think so. Following the current business-as-usual path, by 2020: The temperature of the planet would be, at least, 2.4ºC warmer. The analysis is based on the scientific evidence and conclusions from the IPCC Fourth Assessment Report (AR4). The Guardian has the story; Realclimate has the scientific context. Now of course this is being spun as if it’s alarmist propaganda gone wrong. Even the otherwise sensible Keith seems to frame it that way. No organization that wants to be taken seriously though would knowingly put in a glaring error like that, as it clearly blows away any credibility they may have had. The most likely explanation is that they honestly believed their own calculation. – Make sure you have the required expertise to write your story, and if you don’t, get people with such expertise to advise you. Base yourself on a proper reading of the relevant literature and/or on people who do. – If people alert you to an error, check it (or let it be checked), and then fix it, even if that means postponing a deadline or changing something for the gazzilionth time. Their refusal to correct their mistake after it was pointed out to them is flabbergasting. How stubborn, how stupid. I hope they learnt their lesson.